i love weddings. | escaped. I think I've got sucked up into all these wedding fever ever since my sister got married, and it was the perfect day for all of us. Happy faces, sweet newlyweds gestures, beamed parents, proud siblings..what's there not to love? The only thing is, Mum keeps asking "when's your turn?' I mean, seriously. 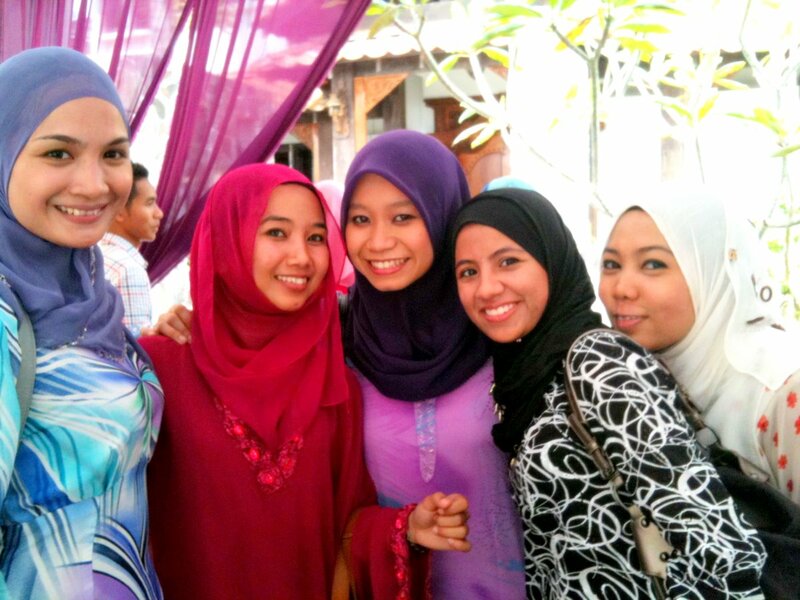 So last weekend we went to one of our schoolmates' wedding, Biela. It was my first time attending my batchmates' kenduri since Japan took over my life for four years, so I was really looking forward to it. Opted for the purplish pink kaftan, and I'm never wearing pink ever again. At least for a good few months. TOO MUCH PINK. Seriously, I'm so sorry if you got annoyed looking at the photos. It was great seeing old friends. But you can tell, some of the habits never changed. Of course, everytime these occasions came, the multimillion dollar question would pop up. It can be from your mum, aunty(s), aunty's friends and so on. I knew better not to linger the topic for more than two sentences "we saw the bride already, can we go home?" so the topic would be avoided. It really makes me wonder if 24 is already 'old'. Pfft. Anyways. 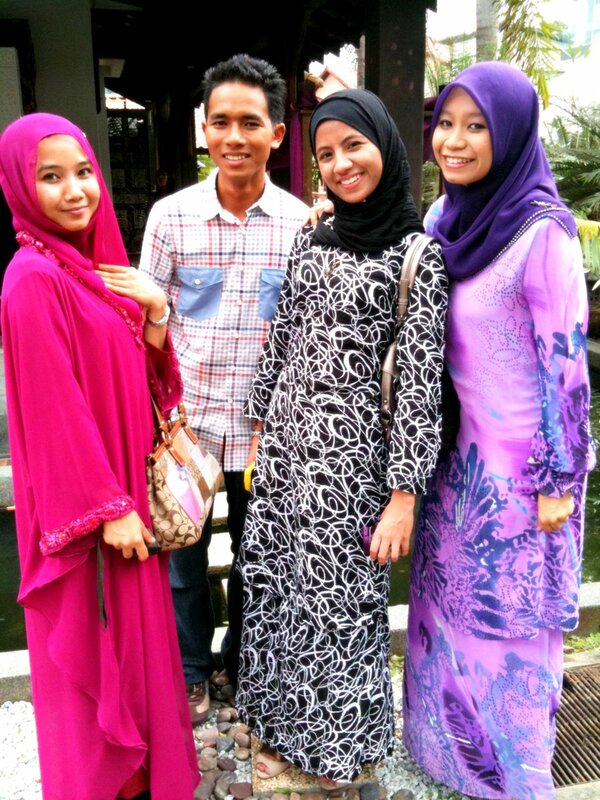 To Biela and husband, Congratulations :) May all the happiness in the world be with you guys, insyaAllah. atil....agree wit diz-->>"It really makes me wonder if 24 is already 'old'. Pfft." n now its really get me very stressssss when my bro(1yr younger than me) n evryone keep pushing me to get into marriage ASAP b4 him...as he already asked my mom to go merisik one gurl when he come back to mesia diz summer hols....uwaaaaaaaaaaaaaaa!! Where's our pictureeeeee ? ? Btw, I thought I've told you Amito is my cousin before, no ? Uted, our pic wasn't in my camera!! tak jumpa pun :(( ms tu dtg ramai2 nak take pictures kot? sobness. dalam your camera ke takde? no, I didn't know pun!